New coolant does its job better than old coolant fluid that has become contaminated. As the coolant fluid flows through your engine and starts to break down over time, it won’t be able to do its job right. You can help protect your engine and extend its life easily with regular Nissan Coolant Fluid Exchange Service. The difference between a poor and a premier Nissan Coolant Fluid Exchange Service is being thorough. Some drivers accept the topping-off method of coolant fluid management: this is bad because it leaves old coolant in your engine. Some drivers accept a replacement-level service that does not include total flushing of the coolant fluid: this is bad because some of the contaminated coolant remains in the engine. The smartest Nissan drivers schedule a Coolant Fluid Exchange Service that includes a flush: this is smart because a flush removes the old coolant fluid entirely. When your Coolant Fluid Exchange Service includes a thorough FLUSH, you get peace of mind knowing that all of the contaminated coolant fluid has been totally exchanged with new coolant fluid. The telltale sign that you received the best Nissan Coolant Fluid Exchange Service is to make sure it includes a total flush. 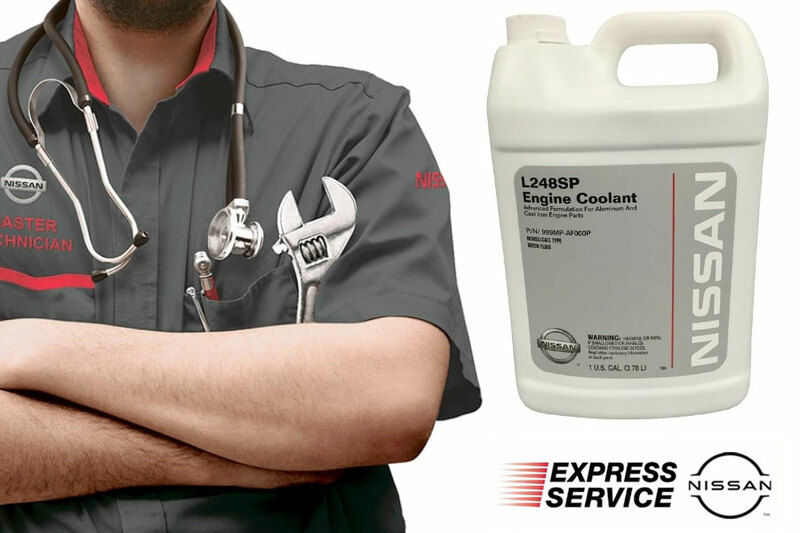 Today is the perfect time to schedule your next Nissan Coolant Fluid Exchange Service. Contact us today to get your Nissan vehicle scheduled with one of our Nissan Certified Technicians. We will always include a total flush of your old coolant fluid to ensure that all of the contaminated coolant fluid is removed. One of the easiest ways to protect your vehicle is with an annual Nissan Coolant Fluid Exchange Service.